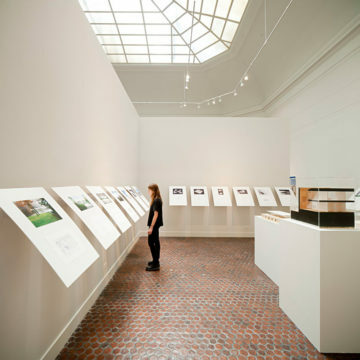 The work of Campo Baeza is on exhibition at the American Academy of Arts and Letters in New York. May-June 2013. 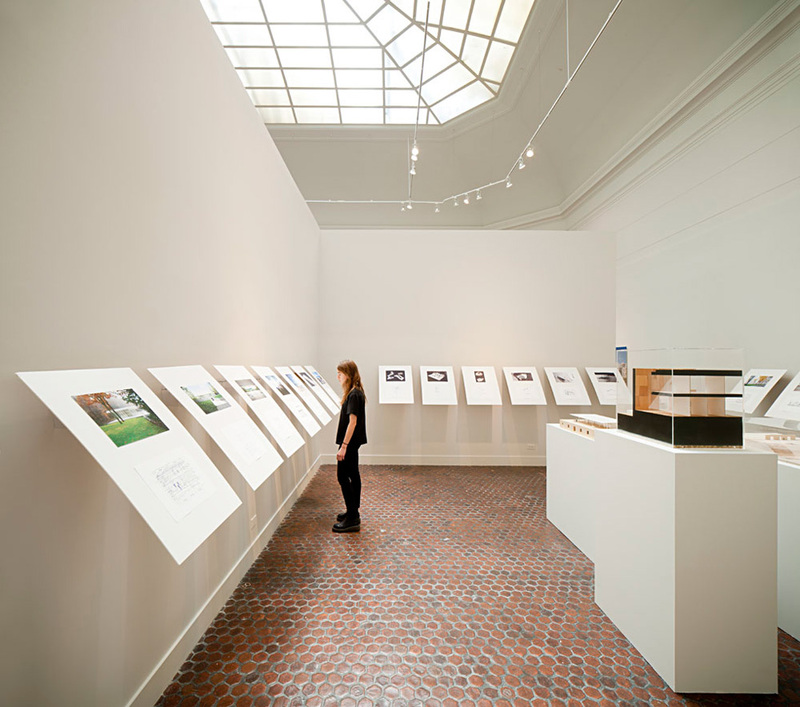 The exhibition of the work of Campo Baeza to celebrate the awarding of the Arnold W. Brunner Memorial Prize in Architecture 2013 is currently on at the American Academy of Arts and Letters in New York. It is an exhibition that is very sui generis, it is an Exhibition in the air; it is an exhibition that is very Campo Baeza. In a spare white quadrangular room in the main building of the American Academy of Arts and Letters, 633 West 155th Street, New York, with only natural light from above, 24 white panels appear floating over the walls, without touching or marking them. 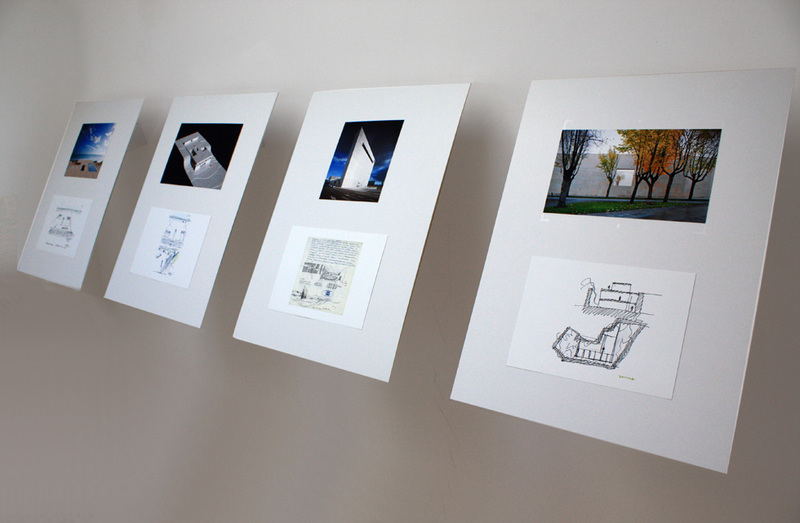 In Din A4 format, each displaying a color photograph and a drawing of the most significant works of the architect, the panels are tilted at 45 degrees, as if floating in the air at eye-level. They are attached to the wall by means of an ingenious mechanism devised by the architect, with trapezoidal transparent acetate wings that cannot be seen, that disappear. 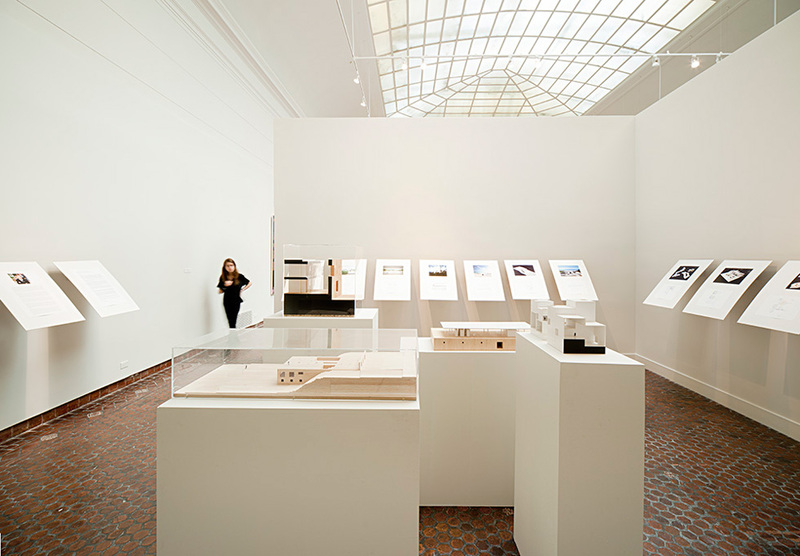 The works displayed there range from the Olnick Spanu House in Garrison, New York, the VT House in Zahara, Cadiz, the Center for Nature Interpretation in Lanzarote, to the Cala House en Madrid, currently in project phase. 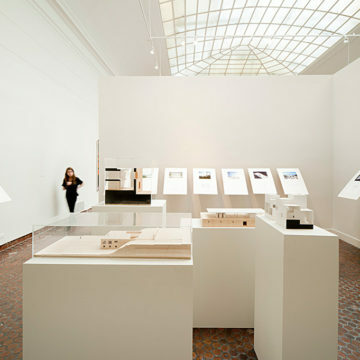 In the center of the room, some simple models of these works. A spare and simple Exhibition. Very much in keeping with the present times and the spirit of the architect. 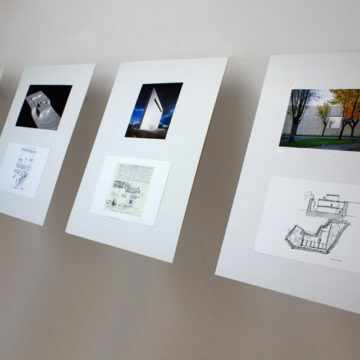 An Exhibition on Campo Baeza, that is very Campo Baeza and on show all this spring.